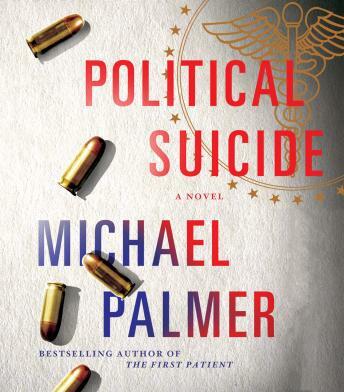 Dr. Lou Welcome, from Palmer's New York Times bestselling Oath of Office, is back in this heart stopping medical thriller. A desperate phone call embroils Lou in scandal and murder involving Dr. Gary McHugh, known around the Capital as the 'society doc.' Lou has been supervising McHugh, formerly a black-out drinker, through his work with the Physician Wellness Office. McHugh has been very cavalier about his recovery, barely attending AA and refusing a sponsor. But Lou sees progress, and the two men are becoming friends. Now, McHugh has been found unconscious in his wrecked car after visiting a patient of his, the powerful Congressman Elias Colston, Chairman of the House Armed Services Committee. Soon after McHugh awakens in the hospital ER, Colston's wife returns home to find her husband shot dead in their garage. She then admits to the police that she had just broken off a long-standing affair with McHugh. Something about McHugh's story has Lou believing he is telling the truth, that the Congressman was dead when he arrived and before he blacked out. Lou agrees to look into matters, but when he encounters motive, method and opportunity he is hard pressed to believe in his friend-that is until a deadly high-level conspiracy begins to unravel, and Lou acquires information that makes him the next target.